Phantoms' budget-friendly Eclipse P400 now sports an all new tempered glass side panel. The new variant of the Eclipse Series still features the solid build quality, built-in RGB lighting controller, open interior design, compatibility with all-in-one liquid cooling. 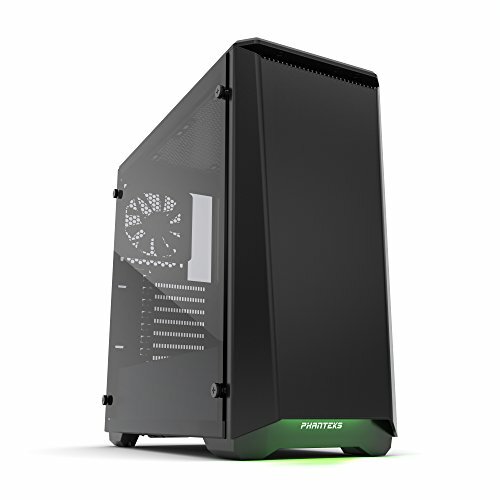 The Eclipse P400 tempered glass panel adds to its distinct beauty and brings an additional bit of ﬂair and sophistication to your system build. Full Size PSU support. Removable HDD cage for installation of long PSU's (>270mm)/water-pump. Hidden Front I/O (2x USB 3.0, Headphone, Mic, LED Control, Reset). Clean cable management using Phanteks' preinstalled Hoop-N-Loop cable ties. Optimal airflow - Direct airflow to CPU/GPU. 1x Phanteks 120mm Fan in front. 1x Phanteks 120mm Fan in rear. Supports water-cooling radiators (up to 360). If you have any questions about this product by Phanteks, contact us by completing and submitting the form below. If you are looking for a specif part number, please include it with your message.